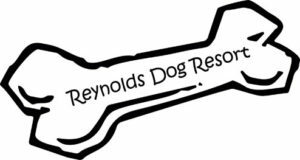 Reynolds Dog Resort is a fun & safe canine haven providing high quality dog boarding, fun dog daycare, and professional dog bathing & grooming. 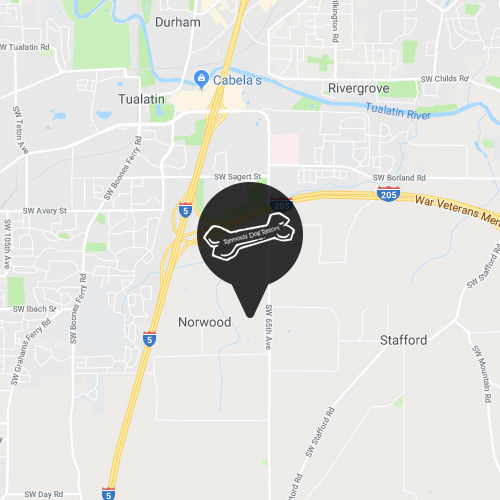 With two locations to serve you - Tualatin, OR and McMinnville, OR. Every guest is part of our family. At Reynolds Dog Resort, our overnight dog boarding guests enjoy accommodations with all the comforts your furry family member deserves. 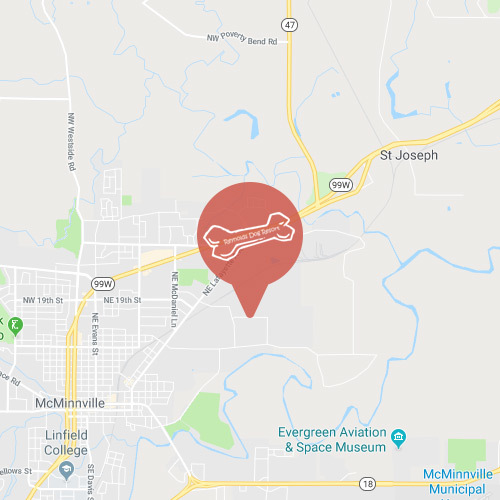 Our cozy amenities and the attention of our loving staff, we’ll be your dog’s home-away-from-home. Reynolds Dog Resort is a safe and engaging place for your dog to socialize, exercise, and have tons of fun. Our dog daycare guests love romping around our secure play yards while be supervised by our loving and caring staff at all times. Call us for more information. Your relationship with your dog is incredibly special. The trainers at Reynolds Dog Resort can help you make the most of it. Dogs of all ages & breeds respond to our balanced, positive-focused training methods. We customize training programs just for you and your dog! Our experienced team of professional dog groomers use top-shelf products for a marvelous salon experience that keeps your pup safe & comfortable. Customize your service with package and a-la-carte options for every individual. Call to schedule an appointment. We provide a family-oriented environment for your dog. While you are away your dog will enjoy hours of doggy playtime and loads of human interaction in our dog boarding or dog daycare programs. We take the love and care of your furry family members very seriously. We have a lot of fun doing our jobs but we make sure we do it right. Both our Tualatin and McMinnville location offer climate controlled indoor relaxation time as well as safe and secure indoor and outdoor play space.